Mothers are renowned for telling their children to eat carrots for good eyesight, but is it really true? The foods that we eat (or don't eat) play a major role in all aspects of health, including the health of your eyes. 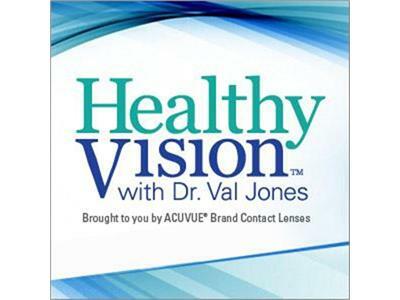 On the latest edition of Healthy Vision™ with Dr. Val Jones, optometrist, author and President of the Ocular Nutrition Society, Jeffrey Anshel, O.D., and leading nutrition researcher Elizabeth Johnson, PhD., join Dr. Val to talk about nutrition and its impact on vision and eye health.